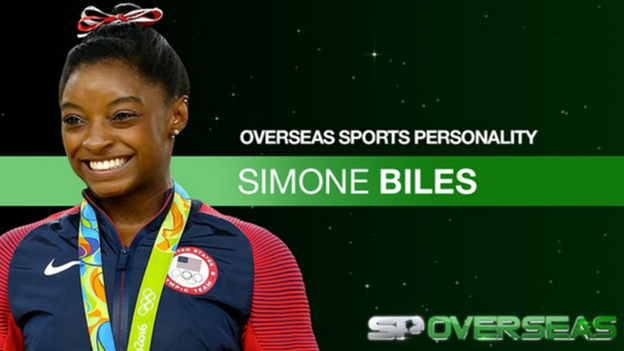 American gymnast Simone Biles has won the 2016 BBC Overseas Sports Personality of the Year award. The 19-year-old broke new ground with a series of dazzling routines as she secured four gold medals at the Rio Olympics. Victory in the floor event added to her all-around, vault and team titles. 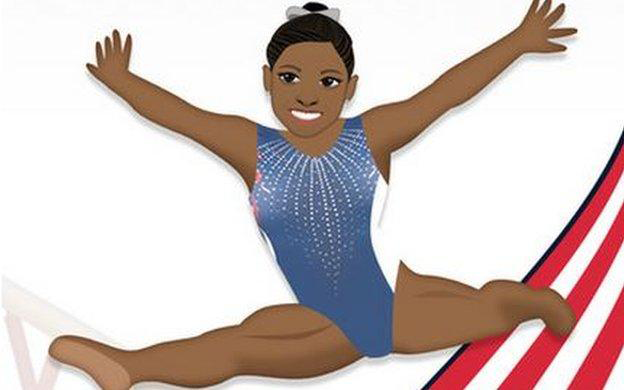 Described by some observers as the best of all time, she was the first American and fifth female to win four gymnastics gold medals at a single Games. The 4ft 8in gymnast from Texas was placed into foster care because of her mother's struggles with drugs and alcohol and adopted when she was five by her maternal grandfather and his wife. Since starting her senior career in 2013, she is undefeated in all-around competitions. 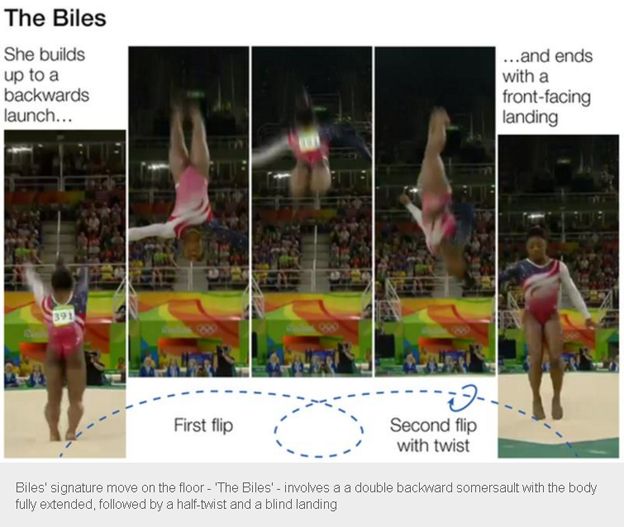 Biles became the first black gymnast to win the all-around title at the World Championships in 2013 and, after retaining her crown in 2014, she won an unprecedented third successive all-around gold in Glasgow in 2015. She has 10 world golds to her name, more than any other woman in history - and 14 medals in total.